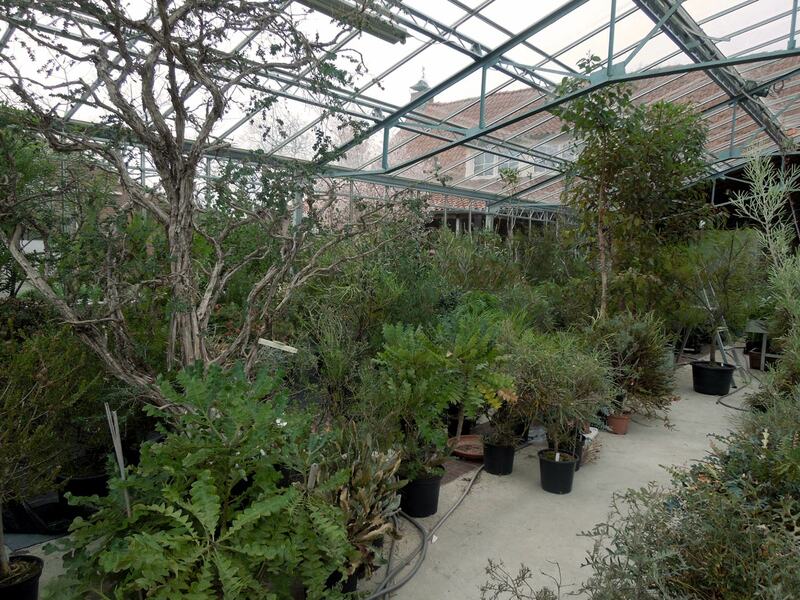 In the smaller glasshouse, which until 2001 was a disused cowshed, we keep the plants frost free in winter. In summer it is our sales area when the plants live outdoors in the ‘tegeltuin’ (tiled garden) and the patio. Next to these you can find the rose garden, planted with box and lavender hedges in 2009. Most of our Australian plants are kept in pots but some have been planted into our bush area since 2005. Like the smaller glasshouse this used to be a cowshed. In Australia there are major differences between plants from the west and those from the east so in our bush area these plants are kept in separate areas as well. 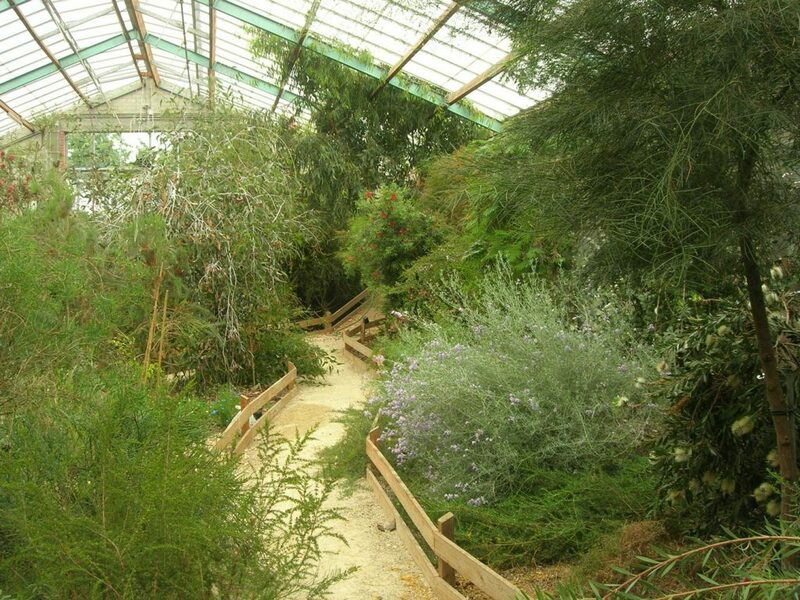 You can enjoy a cup of tea or coffee at the entrance of this glasshouse overlooking the Australian bush. In our arboretum there’s a great variety of mature trees varying from indigenous ones -surrounding the arboretum – to living fossils like Ginkgo, Sequoiadendron and Liriodendron. 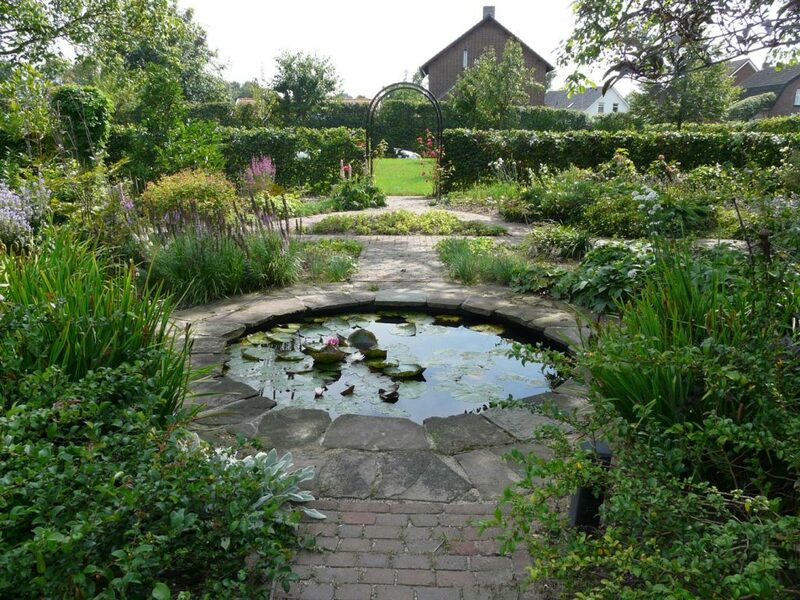 An eye catcher is the large pond with a surface area of 200m². It is surrounded by natural vegetation. A walk through the arboretum or around the pond offers an ideal opportunity for a relaxing moment. Or sit and enjoy the birds on one of the many seats! 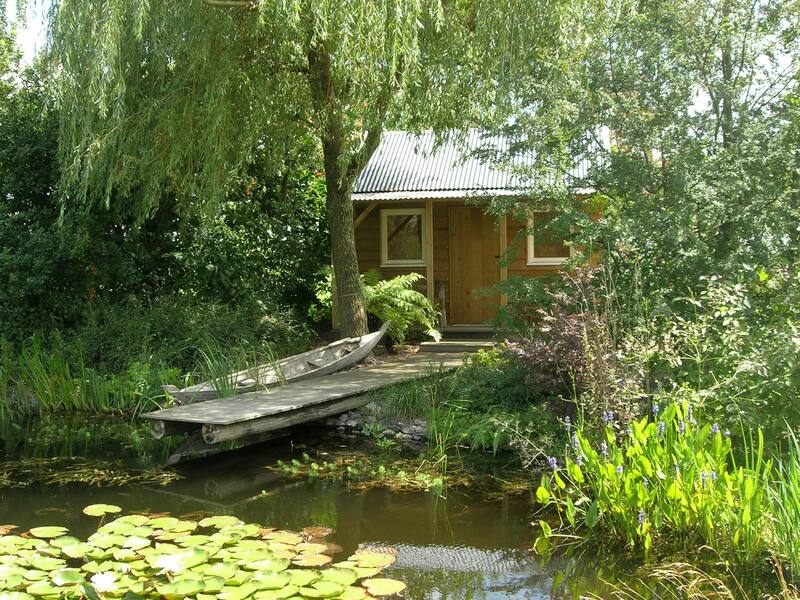 In 2009 the ‘slab-hut’ was built next to the pond, inspired by the huts the early settles built in Australia. From the verandah you have a beautiful view of the pond and the arboretum. Behind the hut there’s a collection of frost hardy Australian plants to enhance the Australian atmosphere. Further away you can find the rock garden, encircling a large sundial. The dry-stone walls are built from the remains of the concrete floor of the larger cowshed. Likewise, many other elements from the former farm were re-used in the garden. 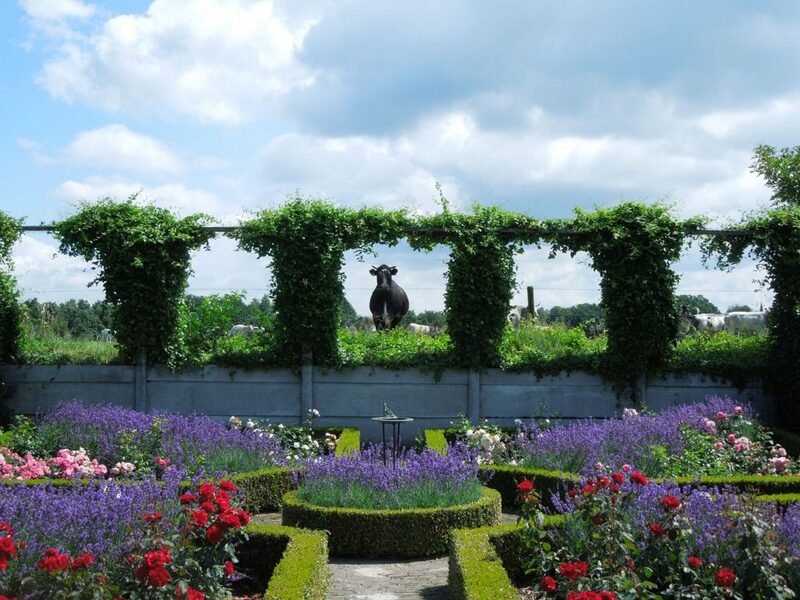 Adjacent to the central patio there is a classical rose garden with hedges of Box and Lavender. From here you can proceed to the vegetable garden and the fruit garden with several species of currants and low fruit trees. The neighbours’ cattle will peacefully and curiously look down on you from the paddock that is one meter higher than where you are! The basic lay-out of the ornamental garden is a geometrical shape of brick paths that allow easy access to all corners of the garden. Here you can find a great selection of ornamental plants in different heights and shapes. The old walnut tree is a real eye-catcher as well as the small mirroring pond with waterlilies. From the ornamental garden you enter the orchard with several traditional fruit trees and a circular pergola.